Rosewill, a company known for its low priced yet exotic PC cases, have announced the availability of their latest 5.1 channel vibrating gaming headset that is better known as RHTS-8206. The new Rosewell headset features a virtual 7.1 digital surround sound environment along with 40 mm large Nd-Fe-B magnetic drivers that aid it to deliver deep bass, smoother undistorted highs as well as clear crystal vocals that would take the user’s enjoyment up to a whole new level. The vibration effect for sure will greatly enhance your experience as to the thing in real life in both games and music. The headset weighs entirely less than 1 pound hence wouldn’t feel as a huge burden over extended gaming periods. 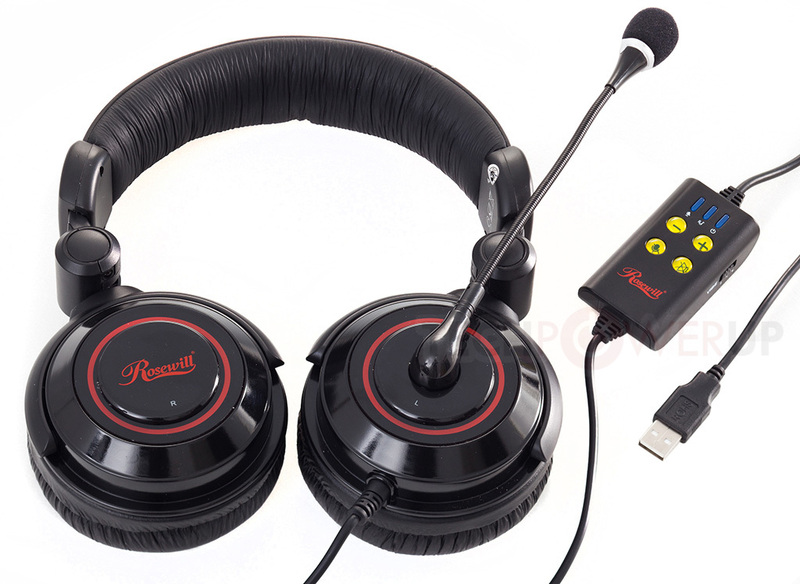 The Rosewill headset features 90 degree fold flat ear cups as well as a flexible and detachable boom so you may adjust it according to your personal needs. Last but not least, the microphone has been made unidirectional that leads to lesser background noise and more clearer conversations.